Drupal 8 is just days away from stable release and I have finally had a chance to play. It's a full rewrite so lots of changes, the admin interface seems much cleaner. This is a short note on attaching libraries in a custom theme. This is some notes of techniques used in a recent project to save time if done again. The idea was to display multiple related entities within the main entity, node in this case, and to embed the forms for those entities as well. To keep it neat we will wrap all but the latest entity in a collapsed fieldset. First of you need to create the entities, I used Entity Construction Kit. Wallace Jackson has authored a book for people with no programming experience, who are interested in developing Android Apps. 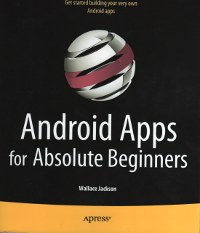 The book Android Apps for absolute beginners is published by Apress and covers all you need to know to get started in Android development. The Drupal Downunder site for the conference in January 2011, is live now. It has been evolving over the last couple of months while we build up to what looks to be a very exciting conference. I'd like to take this opportunity to thank the people involved in organising the conference and website. With the opening up and support of API's on mobile devices, HTML5 has the potential to eliminate the need for device specific development. I got my Google Android App Inventor invite early this week and had some trouble connecting the Blocks Editor to my Samsung Galaxy S. So I thought I would post some tips for anyone else experiencing similar issues using App Inventor on Ubuntu. Firstly I must say the Galaxy S is a brilliant phone/mobile computer and I have no trouble connecting to it from ubuntu as a mass storage device. I can plug it in and share files between them easily. The momentum behind Android is amazing. I have been keeping an eye on Androids progress and it is simply staggering. Many of the biggest phone manufacturers such as Motorola, HTC, Samsung, LG, Sony Ericsson have released Android phones and have many more in the works. Not all the best phones are making it to Australia and some are getting here too slow. Australian carriers are starting to get behind Android and competition to release the best handsets and plans seems to be heating up. At CSS Creator I have added a list of CSS Properties, selectors and the browsers that support them. This is actually a rework of the original CSS properties list in a more useful format. Now you can see the earliest version of each popular web browser that supports the CSS property or Selector. It should be easier to use and maintain as in general once a browser supports a particular property then it will continue to do so. I used to provide yearly stats on this site that showed Browsers, Operating System and Screen Resolution. Somewhere along the way, about 2006, I lost interest or got too busy to publish them. Over the last year or so I have noticed a big increase in Mac usage, every man and his dog has one, or so it seems. So I had a quick look at the stats for last month and compared it with the old stats. In 2006 mac users accounted for just 2.1% of visitors.